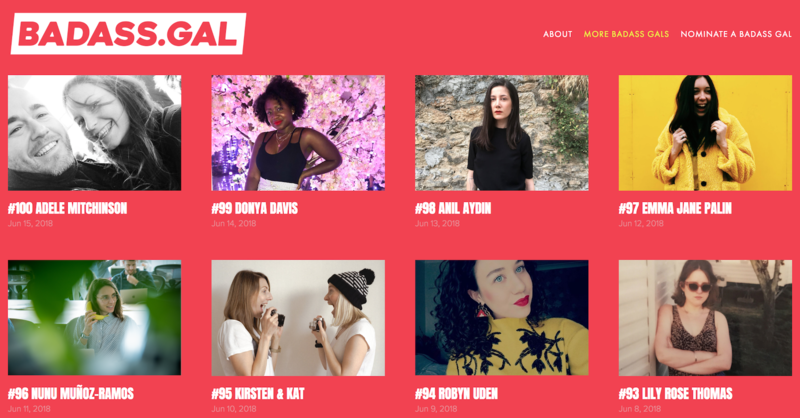 A website to help promote young, female creatives now has 100 talented women on its site. Its creators talk about the reasons for its existence and their hopes for what it will achieve. On Thursday March 8 2018, International Women's Day, two young creatives decided to do something about the lack of women coming into advertising and wider creative businesses. And so was born Badass Gal, a website created by Digitas team, copywriter Charlotte Hugh and art director Danny Pallett, through the Young Creative Council which is devoted to promoting young, female creatives to a wider audience. 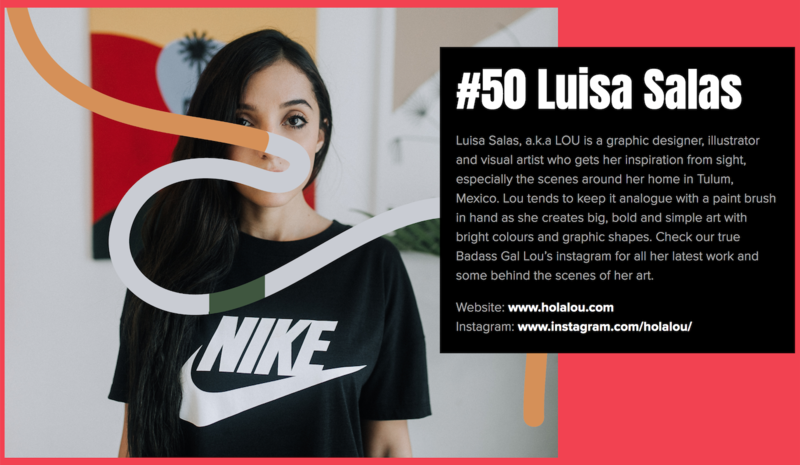 Since its launch they have posted information on a talented female creative every day, with today marking the 100th person to be features on the site. Below, we talk to Hugh and Pallet about the site, the reasons for its existence and their thoughts on why more female creative students are going on to work as advertising full time ad creatives. What made you want to set up Badass Gal? Hugh: As part of our roles in the Young Creative Council [YCC] we spend a lot of time visiting universities, schools and colleges talking to students about the creative industries. In doing so, we noticed that the classrooms and lecture theatres were full of young, ambitious females, yet the industry we’re working in is lacking them. We think it’s something like 60% of students are female but only 50% of them end up working full-time, which is a stat we couldn’t ignore. We also noticed there were a lot of campaigns and initiatives to support women already in leadership, or senior positions within the creative industries, but there wasn’t a huge focus on those junior women who were already going above and beyond. So, we wanted to do something to help these young women who were looking to get a foot in the door, and to those who are already smashing it in their roles a platform to be recognised, and identified for the amazing work they’re already doing. We also felt like Badass Gal would be a great resource for agencies to find talent, look for people to collaborate with and also just for a daily dose of inspiration. "Placements are often quite last minute, and the length is always uncertain so it’s hard for young people to just drop sticks and move here without the security of a job." Why do you think there’s a lack up take up of young women into agencies if there’s a lot of them study creative subjects at university? Pallett: There’s no one answer to this; we think one of the main reasons is the lack of women in senior positions in the creative industries to be role models for the next generation of creatives. We also think it's the idea of London being the ‘be all and end all’. Don’t get us wrong, London is the central hub for creativity, with the majority of jobs, BUT a lot of students are not from London and it’s not so easy to just move here. With the YCC placement poverty pledge it is slightly easier to move here, as (most) placements are properly paid. But placements are often quite last minute, and the length is always uncertain so it’s hard for young people to just drop sticks and move here without the security of a job. What were your routes into advertising and what/who helped you get a foot in the door? Pallett: We met whilst studying advertising and brand communication at UCA, Farnham and teamed up in our second year. We knew the placement circuit was very competitive in London so instead of waiting to do placements after graduation we began the hunt in our second year. Finding ourselves working at Y&R Auckland for our first placement. After university we spent about a year on the placement/freelance scene. 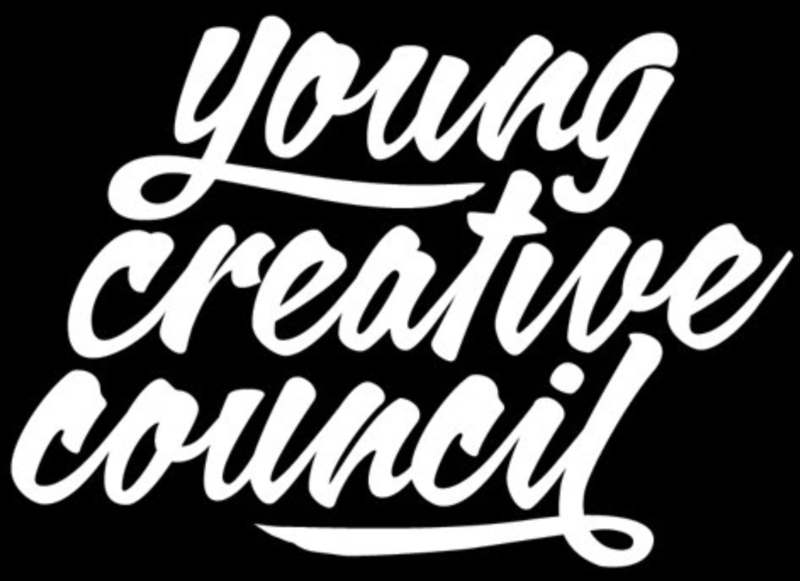 We actually owe a big thank to the original YCC members who set up events and portfolio crits which helped us a great deal. We also relied on alumni of our uni to help introduce us to people, eventually landing us our first full time gig in 2012. What does it take to be a Badass Gal? Hugh: A Badass Gal is someone who’s already going above and beyond. They may not have the years of experience but they’re not letting that stop them. We’re talking about young women who have set up businesses, those who are already creating award winning work, or just doing something genuinely awesome in their spare time. You’ve been uploading one Gal per day; how long do you aim to continue doing so? Pallett: Badass Gal launched on International Women’s Day, as we wanted to not just celebrate women for a day, but every day for a year. We’re now on day 100, and so far we’ve been updating gradually based on people nominating. We’d like to reach our target of a year, to showcase the talent that’s out there! Ideally we’d love to keep the platform going longer. We’re actually in the midst of planning our first event and live brief. We’re also working on a updated version of the site which allows you to search by discipline, so making it easier to find art directors, copywriters, illustrators etc. We’re also going to make it easier to find people who are open to hearing about new opportunities. "We wanted to not just celebrate women for a day, but every day for a year." Do you know if/how the site has helped women who have already appeared on it? Hugh: We’re hopeful it’s helped those featured. Every day we post on our YCC Twitter, and Facebook to make sure it reaches our audiences. We’ve seen a lot of shares, and had a lot of emails of interest in what we’re doing. We also have seen the platform used by people in our networks as a tool to find young talent, which is brilliant and we hope it continues to do so. What do you hope Badass Gal will help achieve? Hugh: Ultimately we’d like to up the stats of young women in our industry.